Lee Digger, the newly announced Open Records Clerk, works at his desk at the state capitol in Bismarck. Bismarck — Attorney General Wayne Stenehjem announced a new position that was recently filled at the State Capitol, the Open Records Request Clerk. 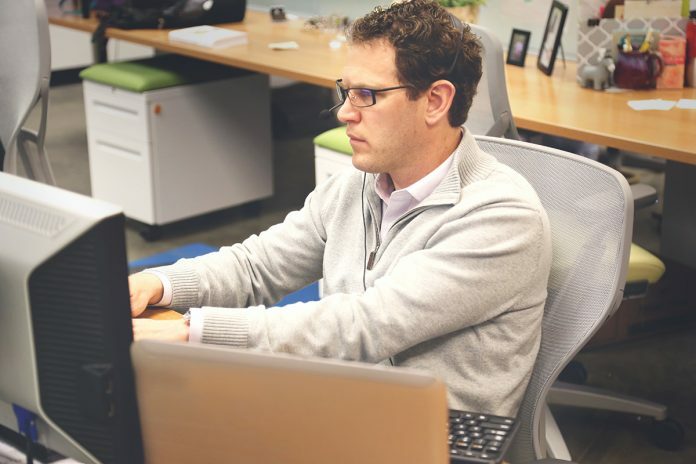 The position, according to the Attorney General’s office, is meant to alleviate the workload on many state employees who are overburdened with open records requests, specifically, from Fargo Forum Reporter, Rob Port. According to officials, many of the open record requests were digital, but the sheer amount of requests prompted the Attorney General’s office to create the new position. Stenehjem also announced a few new policies regarding communication among staff, and a new proposal meant to help curb back paper trails. 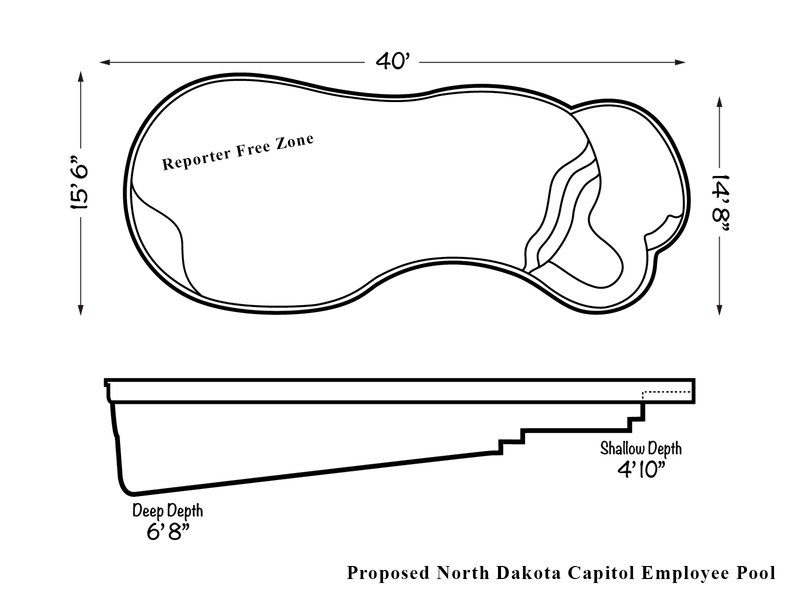 A mock-up of the proposed employee lounge pool at the state capitol in Bismarck. “We’re also encouraging every state employee to refrain from email and text messages to nip this problem head on. That creates on its own a unique problem, so we’re looking at adding a general recreational room with lounge pool for employees to meet at face-to-face. If seeing a bunch of state employees in bathing suits isn’t enough to deter reporters, I don’t know what will,” laughed Stenehjem. *The Flickertail Times is a satirical (fake news) news blog focusing on all things North Dakotan. Feedback? We’d love to hear it! Send us anything and everything to: editor@flickertailtimes.com. Teddy Meadowlark was born and raised in North Dakota. Today he travels often across the Flickertail State, drawing inspiration for his stories from the events and people shaping North Dakota.